Thankful Thursdays - 3/20/14 & 3/27/14 - Nurses! We are SO very thankful for great nurses! Kurt spent several days in the hospital recently with an attack of pancreatitis. The nursing staff was absolutely wonderful. The Doctors oversee your care, they prescribe tests & medicine, but the nurses are the hour-by-hour caregivers. There were so many great nurses that helped care for Kurt. I'd like to nominate all of them for a "Nurse of the year" award. I'm sure I'll forget someone, but thank you, thank you, thank you to: Nick, Joanne, Ethel, Erin, Karen, Alex and all the others! The care they lavished on us was more than just doing their job, it was ministering to Kurt's needs, physical and mental. The cafeteria staff was super great too! We are thankful Kurt is back home, and thankful for the excellent care he received from his nurses at the hospital. Be thankful for all nurses do,go hug a nurse today! As parents, we are often on a quest to find the one product or service that best fits our children. Because I am NOT fluent in any foreign language, I am intrigued by how many foreign language programs are available, and often wonder "Do they really work?" We were recently afforded the opportunity to review the Mango Homeschool Edition from Mango Languages. 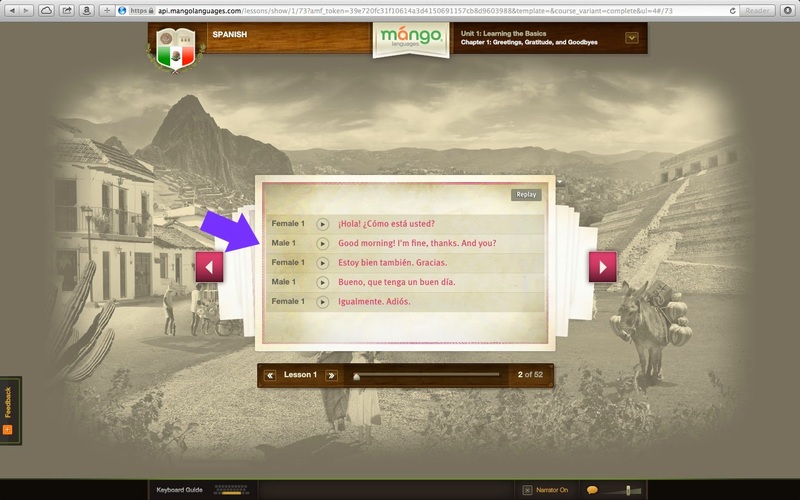 You may be familiar with Mango Languages from their work through libraries. Mango has been around for more than 6 years and is the #1 language learning program in libraries across the US. If you've seen Mango's library program, you may be familiar with their approach to language learning. All of Mango's programs focus on teaching conversationally. This means that instead of first learning a lot of vocabulary words, and then learning how the language is put together, you begin with the most common phrases, and then Mango includes grammar and cultural points in each lesson. This was a whole lot different from any language program I had used previously, but I can appreciate their approach. Our girls both worked on Mango languages during the review. I also tried out the program. The first point I want to make sure you understand about the Mango Homeschool Edition is that you learn ANY of the 60+ languages available. You choose. If you want to, you can learn more than one language at a time, or you can switch your mind and change to a different language at any time. This was really important to us. Both girls thought they would want to learn Scottish Gaelic. It is REALLY hard to learn Gaelic. So after a sincere effort to try Gaelic, each girl individually asked me if they could switch to a different language. Thankfully, I could say "yes" without having to invest money to change languages. Arlene switched to Spanish, and Emily switched to Italian. I think this point alone would be enough for me to recommend Mango as a viable option, but it has some other features I want you to learn about as well. 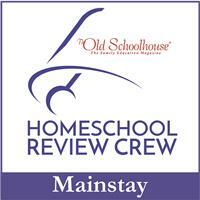 Each subscription to Mango Homeschool Edition is a 'seat in the class.' Thus, each girl needed their own subscription. Because I also wanted to try to learn, I had myself listed on a subscription as well. One major difference between the Homeschool edition and the library edition is this: the library edition ONLY allows you to use the first level (Journey) in each language. In the Homeschool Edition, Arlene can go through three levels (Journey 1, 2, & 3) of Spanish. Several of the languages have embedded/ downloadable files that you can print out for reference or practice when your child is not online in their lesson. Because I wanted to be able to encourage Arlene, I downloaded the Journey 1 file for Spanish, and printed the first several pages. Even though Arlene said her brain is "not wired for learning a foreign language," she WAS able to correct me when I said something wrong from her lesson. I think that means she is learning more than she thought! There are several parts of how the program works that I thought were well planned (even though my older brain has a hard time switching from the traditional style of language teaching and learning this way.) These seems to help the girls as they worked their way through the lessons. I have added arrows to many of my screenshots to help point these out. First, you obviously need to choose a language! I set up Arlene's 'space' for Mango Passport Spanish (Latin America.) Yes, that's right, you can choose Spanish (Castilian) if you're planning to visit Spain, or study abroad in Europe. 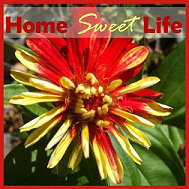 Notice that Arlene's first Journey begins with 'Greetings, Gratitude, & Goodbyes.' Each lesson cover quite a bit, but begins with the most used phrases first. 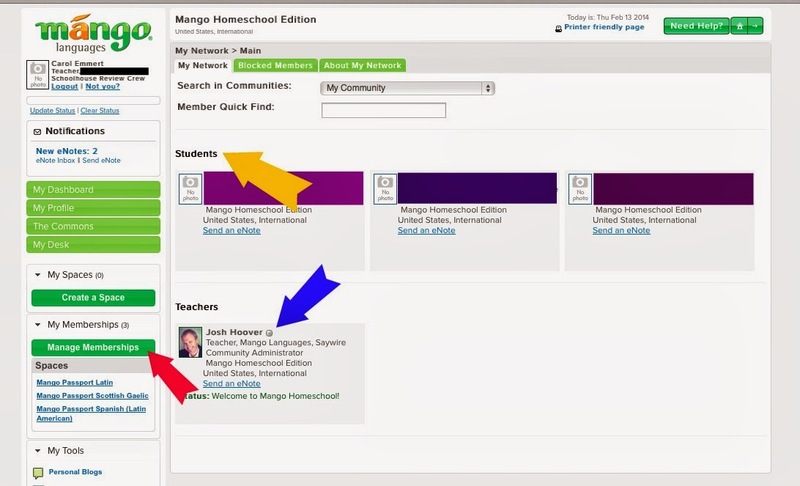 On every screen where Mango is talking to your student, there is a lovely "Replay" button in the top right. This was important for me, because it takes a long time for my brain to wrap around foreign pronunciations. This shot also shows you how Mango includes Grammar notes (the parts your teacher used to draw on the chalkboard) during each lesson. Remember, Mango's goal is to make language learning fun. If it can't be fun, at least it's relatively painless. Mango does a quality job of teaching cultural norms during the course of each lesson. The Mango program will read the screen to you, which I think is particularly great for younger students who are typically slower at reading English. Remember, there is always the lovely 'replay' button. 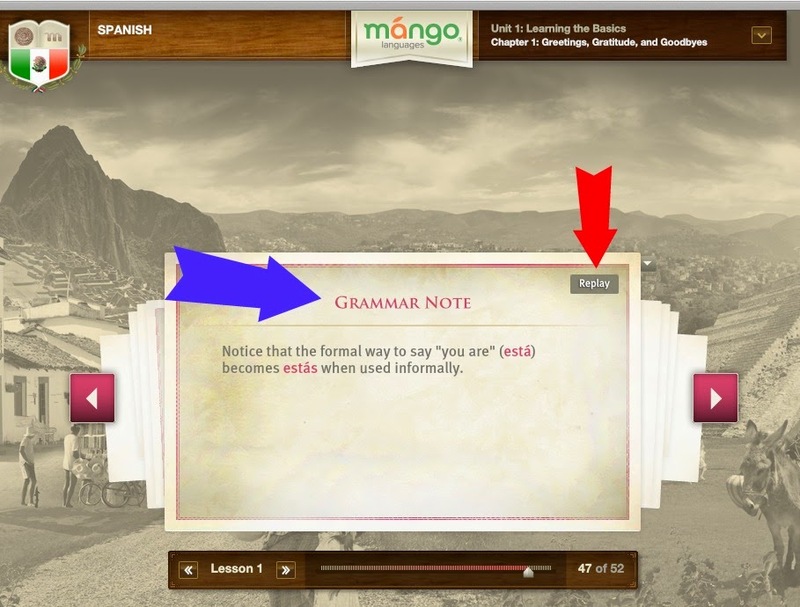 While Mango does not teach you how to write the language (their goal is speaking it,) they do include the correct spellings and punctuation on each screen. See the double question marks by the red arrow? I really, really like the switching of each line back and forth from Spanish to English and back again. Of course, there is always the replay button at your disposal. Why am I spending so much time on the replay button? Because my kids learn best when they hear it over and over again. 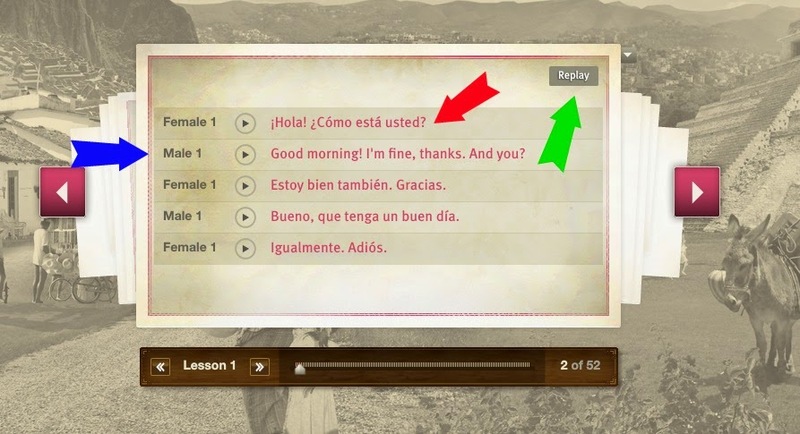 Mango covers the short conversation, and then the words line by line, with lots of review, however, having a replay button the student can use puts your child in control of their pace. Now here is a shot of my screen. I come here to check on my students (see the yellow arrow,) to send an eNote to Josh (who is the Mango Homeschool Admin guy with all the answers to my techy questions- see the blue arrow,) or to check the help section. I have 3 spaces myself. Each 'space' you have represents a different language you are learning. No, I'm not really learning 3 languages at a time right now. But I want to tell you about the three you see listed below the red arrow. Latin IS for me (more about that in a minute.) Scottish Gaelic was because I wanted to try it out myself when the girls were having problems learning. Gaelic is just a difficult language for a midwesterner to learn. Not impossible, just difficult. Since both of them had gotten a lot further than I was able to manage, I had no qualms about having them switch to a different language. The third language listed is Spanish. 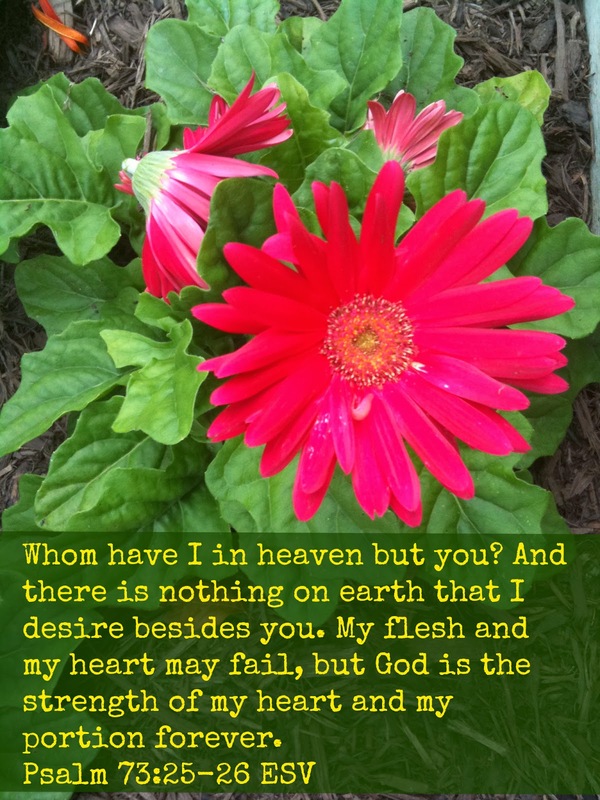 I added that to my subscription so that I could learn some and help encourage Arlene. Emily seems to be doing fine with Italian on her own. Since I have all of our passwords, I can logout of my account and into Emily's to see how far she has progressed. Mango is working on an enhanced tracking and progress monitoring system which they hope to have available by this summer. I will look forward to that as it will make my job easier, plus they hope to include a 'seat time' tracker option which would be great for parents who live in states where they must record minutes spent on each subject, not just the number of days spent in each class. 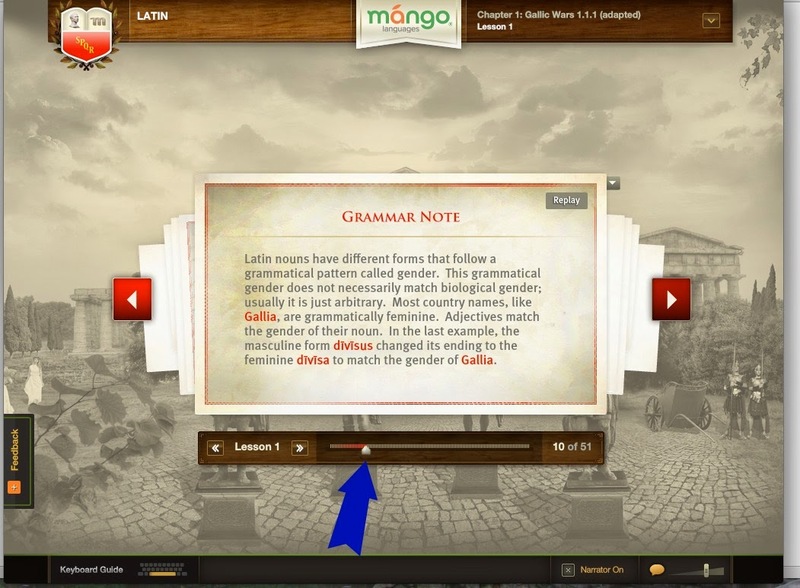 Now here is a little more about Mango's Latin. I signed myself up for Latin because I had been learning Latin alongside the girls last year, but had set it aside and wanted to get back to it. Since Latin is considered a 'dead language' because it is not actively, routinely spoken today, it is easy to forget how to speak in Latin. 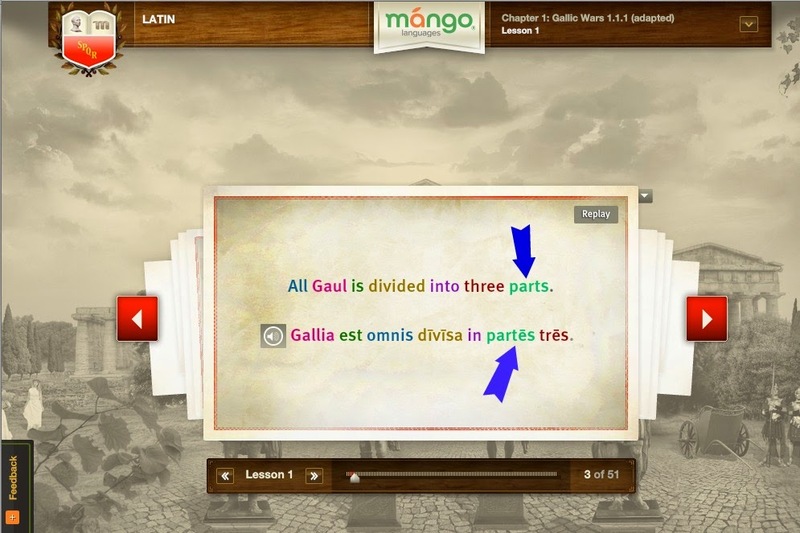 So you probably don't want your younger students learning Latin through Mango, but it can be a help to your older students. 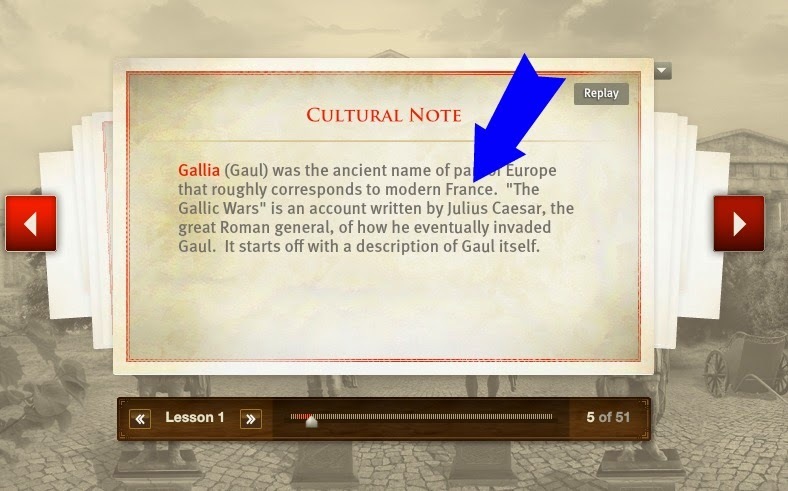 If your older student has spent time in a more traditional approach to learning Latin, this can be used as a reinforcement of what they have learned, or a stretching to learn more. 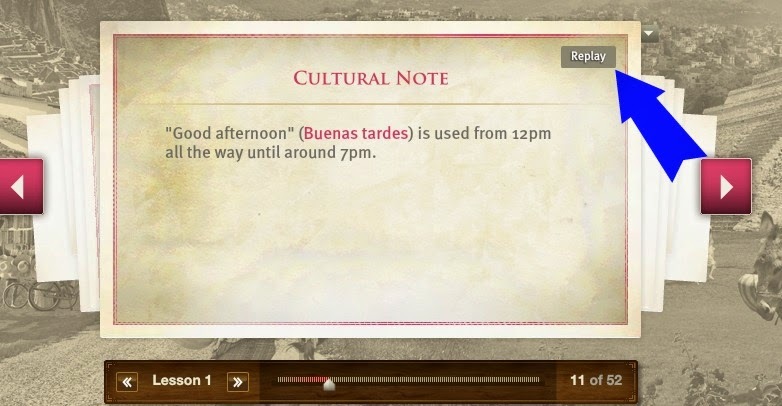 Latin has the same features I mentioned earlier about Spanish, like the progress bar. This part of Latin looks more like what I am used to, where it is explaining to the student subject-verb agreements and noun declensions. I would NOT recommend Mango if you have not had any other introduction to Latin, as I think the process of declining nouns and conjugating verbs to be essential to truly understanding Latin, and I find it easiest to do on a whiteboard. This replay button was used again and again. MY goal was to HEAR the Latin spoken, so for me, Mango is working to reinforce what I had previously learned. Josh and Ryan at Mango Homeschool Edition were happy to answer our questions about current and future features. Currently, there are features you can choose which we did not utilize. One of those that many of you may choose to use are the Language Forums and dashboard features. In the Language Forums you can have up to 16 people online working in a study group (like you might want for a co-op class.) I can see how this might also be used by students who live in rural areas to work with someone else who is about the same level in their language but lives in another town or state. On the dashboard you can see a calendar, and add events (like a reminder to go to your language forum meeting on time) or see questions and answers that other users have posted in your languages. You may be wondering how this fit into our daily life? Pretty easily. Since it is an online program (as opposed to a scheduled class) the girls could work on their lessons whenever I wasn't using the computer. The girls left a set of headphones on the computer desk so they could hear their lesson, without all the distractions that come from someone else entering or leaving the room. I wanted them to spend at least 30 minutes each day they logged on, or to get to the end of a lesson. If you use the replay button a lot (like I did,) you might hit 30 minutes before you end the lesson. That was perfectly fine with me because I wanted them to learn the language lessons, not just spend time in the chair. Since Mango would return them to their same spot during the next session, I didn't fear they would always be doing the first part of a lesson and never actually finish it. Mango Homeschool Edition is for ages 6 to adult. Since younger kids usually learn languages easier than older ones, I would encourage you to NOT wait until High School to start your child with a foreign language. Mango makes it easy to learn a lot in one language, or some of several languages, or a lot in a many languages, you decide! Mango currently has 2 options for payment, either by the month, or the year. With a yearly subscription you will save money over the cost of purchasing 12 individual months. Remember that each student needs their own subscription. One student can use Mango for $18/month or $125/year. Two subscriptions cost $28/mo or $175/yr, three are available for $38/mo or $225/yr. If you have 4 students, the cost is $48/mo or $275/yr, five students would cost $58/mo or $325/yr. If you have a large family, contact Mango for their 6 or more student discount pricing. A parent needs to be the responsible person to set up and pay for the account, but you do NOT need to purchase a subscription for yourself if you have no interest in learning a language. To me, it would be worth it to spend the extra $10/mo or $50/yr to have my own account. I think working through at least a few of the lessons your students are working on will give you a better appreciation for what they are learning, and how much the pacing will vary by student. 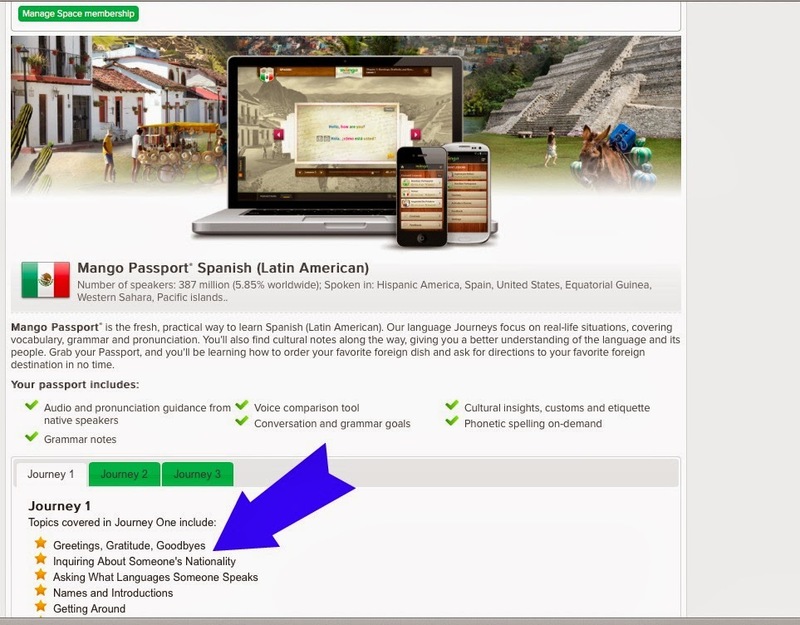 The downloadable guide for Spanish Journey 1 is 168 pages. We chose to only print selected pages, but you could print the whole thing (may I suggest black and white as a money saver?) How you use Mango will vary from family to family, but I think it is worth your time to investigate further. The upcoming features should take a solid program and make it even better. Mango does offer a 'free trial' that you can find out more about on their website. If you have a question that doesn't appear to be covered on the website, you can call and talk to them! You can also visit with Mango on Facebook. Overall, I give Mango a B+. I think the upcoming features will push it to an A-. I would like our girls to learn a foreign language, but I will want time spent on speaking, reading, and writing. If we stick with Mango, I'll want to supplement with something that will teach them at least the basics of how to write down what they are saying. I think this is important for High School level classes. 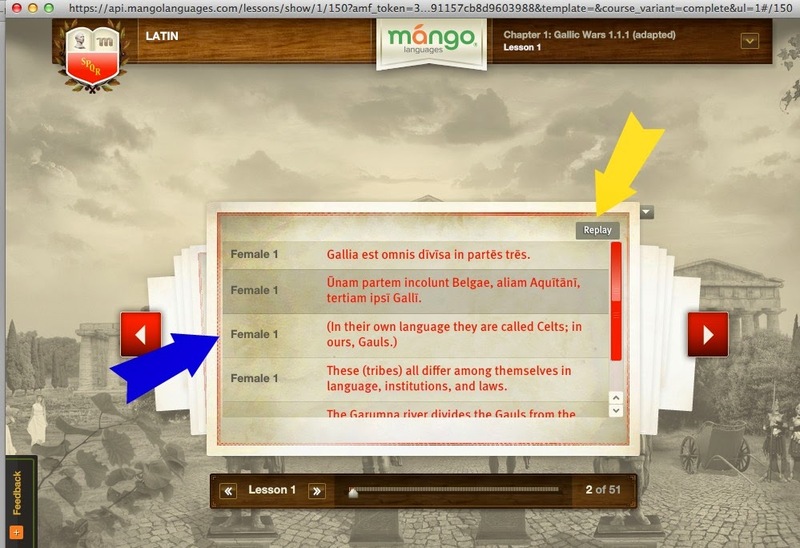 If you have Elementary or Middle School aged students, I would recommend Mango as a great homeschool curriculum for language learning. 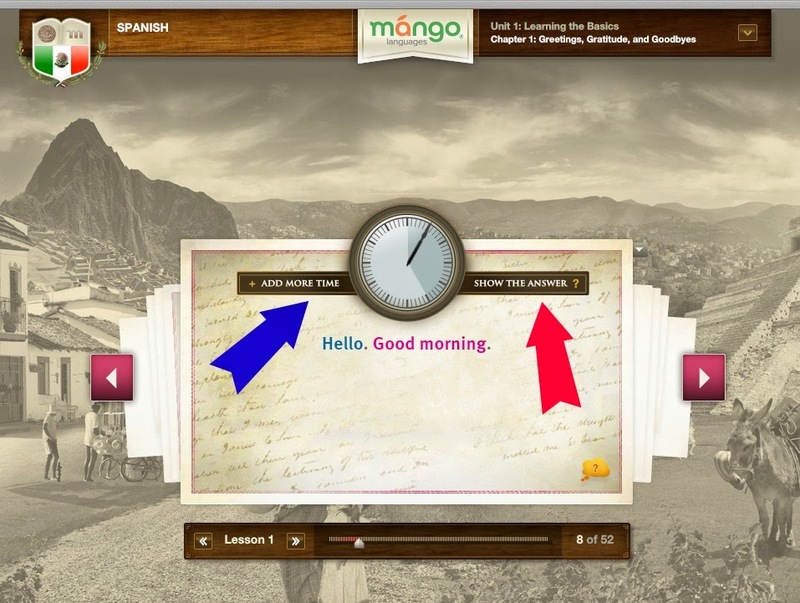 In a sea-full of options, Mango rises to the challenge for younger language learners. Around here we love fresh fruit. I think we spend more money in the produce department than anywhere else in the grocery store. So imagine how thankful we were last week when they had pineapple for $1 a piece!!! Most of the time, the pineapple at the store is not fully ripe, so you have to wait a few days before eating it for the best flavor. I like to purchase ours with just a hint of yellow starting to show near the bottom, and wait until it has turned all golden, sunshiny yellow before cutting it. Today is the day we're going to be MOST thankful for THIS pineapple, because I think it is just about perfect for tonight's dinner! Maybe there will be a little bit left to be thankful for tomorrow for breakfast. So what are YOU thankful for today? 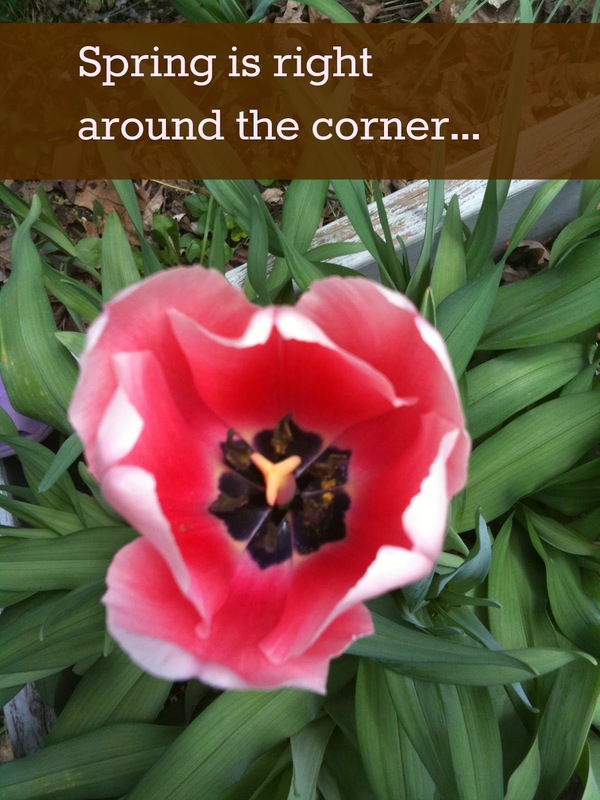 Does your household get all off-kilter when spring is around the corner? Sometimes ours goes a little crazy when it first warms up. What do you do about that? There are a lot of options, but I'll just share a few we've used to get some order/ learning back on the daily menu. 1. Go outside. If the weather is calling you outside, put on your jackets and your mud boots and take a walk. Even something as seemingly mundane as picking up the trash in the yard can give you & your kids 10 or 15 minutes of fresh air & sunshine. If you can swing it, plan an hour. 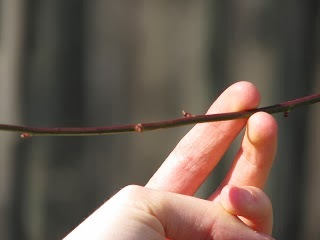 Look for signs of Spring, like budding trees or the shoots of daffodils. Take pictures, draw pictures... or just let your kids play in the mud - they're washable! 2. Watch a DVD. Spring may be calling, but it might still be too cold to go outside. Watch an educational DVD about something of interest to your kids. Maybe a show about plants, animals, or a documentary about a historical site. You can always do 2 math lessons tomorrow. 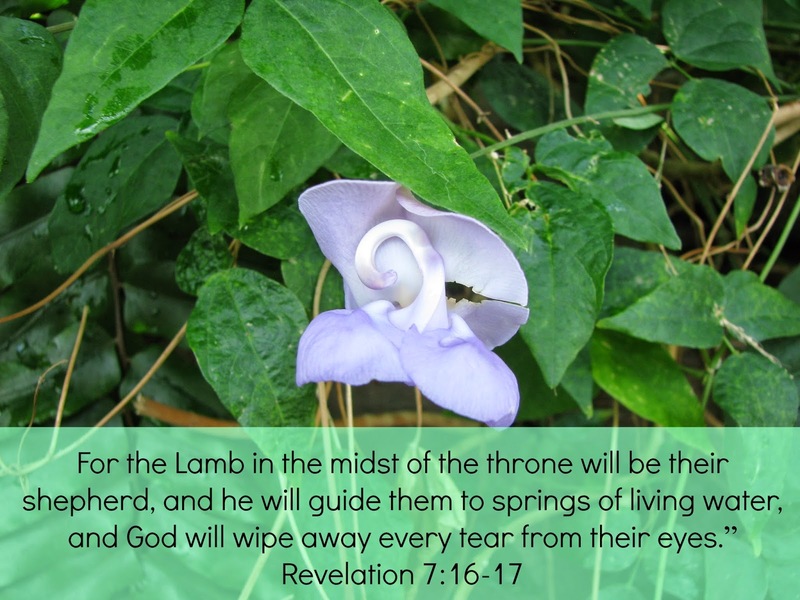 Remember, you are NOT the only one on your house with cabin fever. 3. Bake something, or eat a fruit salad. Seriously, just doing SOMETHING different today can help all of you get out of your 'this-winter-is-lasting-forever' doldrums. Maybe it's time to break out the Legos and build something from your history lesson. 4. Read a book, preferably a picture book with lots of trees and flowers. It doesn't really matter how old your kids are, they still like to be read to. It saves them from reading themselves. 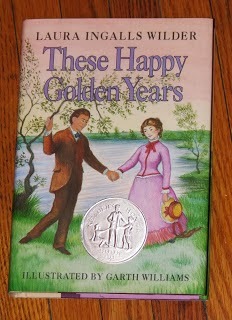 Our re-read a favorite, just because! 5. Put on an audio book to listen to while you clean. Literature, and finding the floor can go hand in hand. Save the vacuuming for after the story, or use it as an after-lunch break in the story. Take a day this week and DO something different. You'll be surprised at how much better everyone feels after a break from routine. Today I am thankful that Thursday is over. Tuesday through Thursday this week were exceptionally busy, and I just wanted to get to Thursday night so I could fall into bed. Ever had a week like that? Today (Friday) I am thankful that we got to go to see Cinderella at the ballet with friends. More about that trip later. Now it's time to get ready for date night! Have you ever heard of Lilla Rose? I will admit I didn't know about the company until last year when my friend Dawn Winters started selling their Flexi Hair Clips. Then I heard snips here and there on Facebook and through emails. Late last year I wondered if these "Flexi's" would work for our girls. Enter the Flexi Clip. 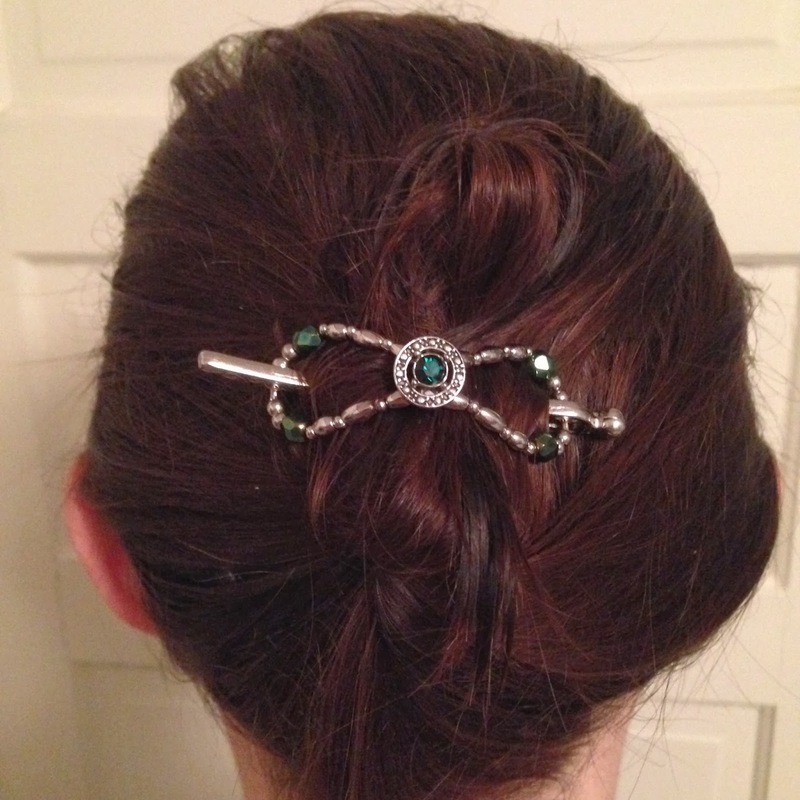 Dawn agreed to send us a Flexi Hair Clip to try out. 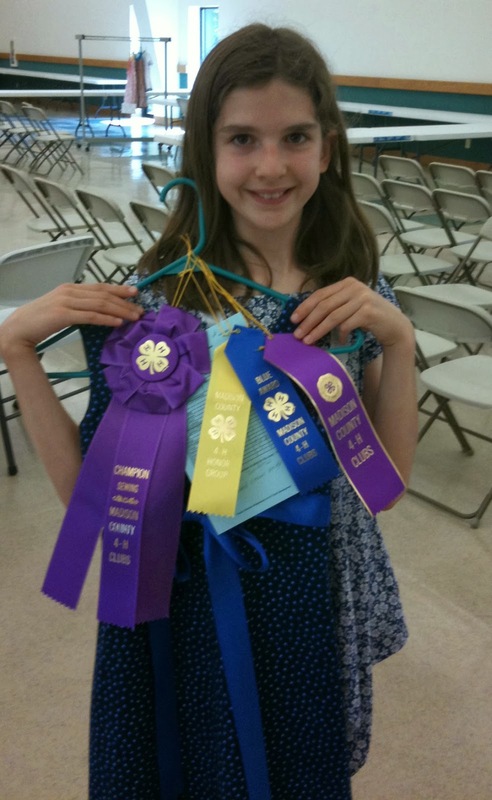 We were blessed to receive two different sizes of Flexi Hair Clips. Lilla Rose has other hair products as well, you can check them all out here. Our package contained one "Small" and one "Medium." 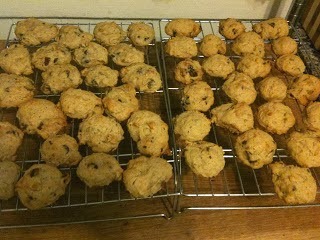 Do not be deceived about their capacity by the names, these are serious workhorses! The small is the 'Lovely Circle Emerald' design (retail $14) and the medium is the 'Festive Leaf' design (retail $16.95). Arlene (age 13) was our main reviewer. This review took longer than usual simply because it was winter. A long, cold, hard winter. Winter where no one goes out if they can help it, and hats are worn all the time. Arlene wore the Flexi's a lot, but I didn't get many pictures early on. In the case of these beautiful hair tools, a picture is worth MORE than a thousand words. You will probably want more than one Flexi. Each size has some give because of three settings on the patented sliding pin, but you'll want one for updos and one for when you only want to put up half of your hair. The best thing to do is watch the "Sizing and Styling Videos" section on Dawn's website. I personally love that the pin is attached to the Flexi (unlike those 1970's slides my Mom used to wear.) This means the Flexi pieces don't get lost! Trust me on this, these Flexi's have been in and out of hair, drawers, pockets, and purses almost every day for the past 2 & 1/2 months. It is comforting to know they stay together and they are sturdy! Look at the sliding pin, on the right side you can see the three indents to adjust the size, and see that the size is imprinted into the end of the bar to make it easy to get the size you're looking for in a drawer full of hair accessories. These hair tools are worth the money. Arlene uses the Medium she she wants to put up ALL of her hair (and the Flexi manages to hold it FOR HOURS,) and the Small when she only wants to pull back some of it. Emily and I both tried using the Small Flexi. 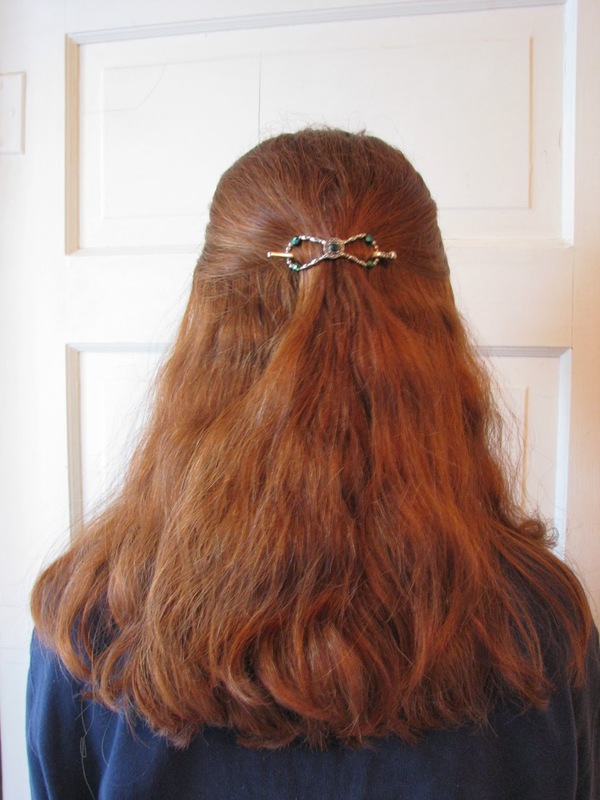 It is the right size for a low ponytail for Emily, but takes some getting used to, because if you don't run the pin/ bar right along your scalp it has a tendency to twist when your hand moves away from your hair. 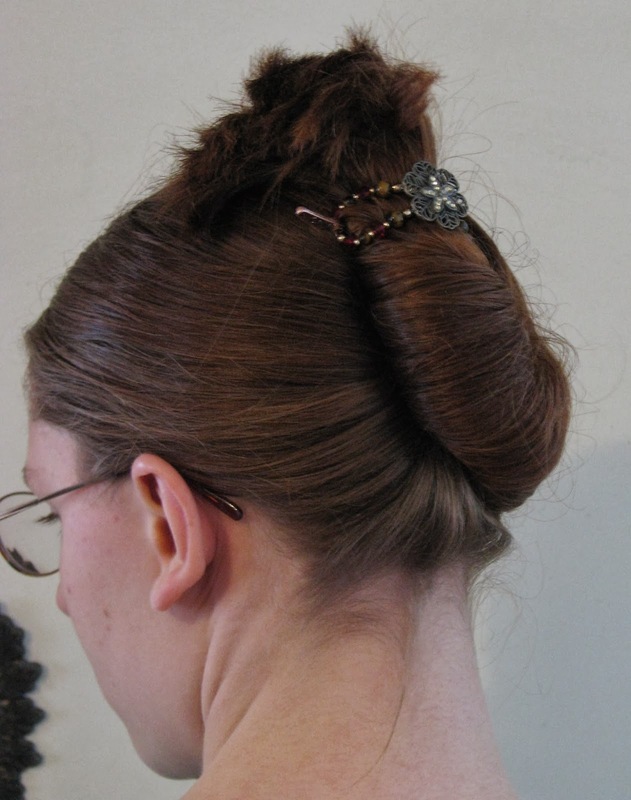 I used the Small Flexi to put up ALL of my hair, but it was still a little loose. I will want to get a size "Extra Small" for my hair, and a "Mini" for putting up just part of my hair. Lilla Rose has special limited edition 'Flexi of the Month' designs, as well as ones that are always available. I would encourage you to watch the video about sizing, and try one or two for yourself! Be honest with yourself about how much hair you actually have, when in doubt, get the smaller size. I think the value comes in many parts with Lilla Rose's Flexi Hair Clips. First, the front truly flexes, allowing for some give in volume with each size. Second, they are sturdy. Any hair tool that can survive two months of use in Arlene's mane deserves respect. Thirdly, the attached bar is simply genius! Just get used to sliding it along your scalp to get a good hold when you first put it in. Fourth, Lilla Rose is sold through individual consultants who want you to love your purchase. They are knowledgeable and caring. They take the time to make sure you're ordering the size you need in the design you want. 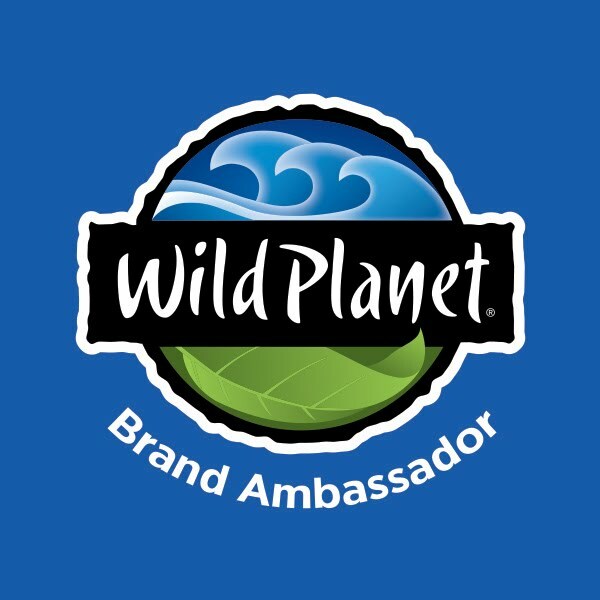 So go, take a long look around Dawn's website or Facebook page, then pick a Flexi out that fits your hair and our personality. You'll be glad you did! We received these products in exchange for an honest review. All opinions are ours. We are disclosing this in accordance with FTC regulations.